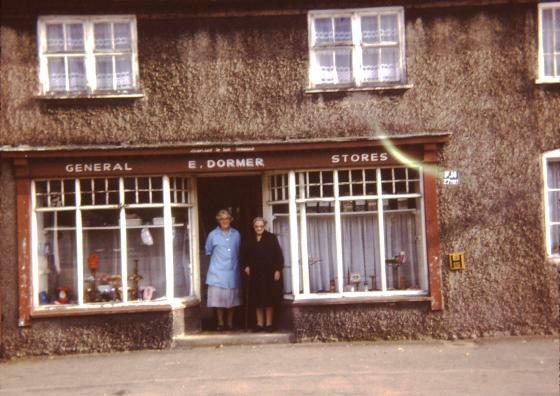 Many of the older residents of Rothley will remember Miss Dormer and her shop in Town Green Street with its sweets and slippers displayed in the two front windows and known as Miss Dormer's Stores. 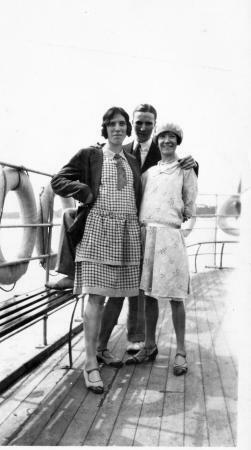 Miss Dormer was born Ruth Evelyn Dormer daughter of John and Ruth Dormer and sister to John Reginald Dormer. 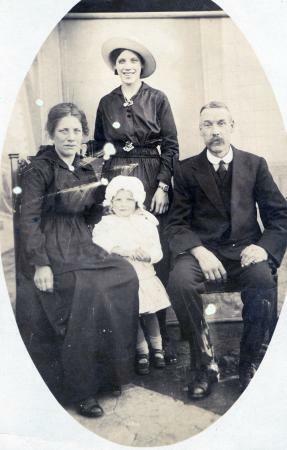 John Dormer was born in 1867 in Leak Wooton, Warwickshire and married Ruth Steel who was born in 1873 and from Rothley. 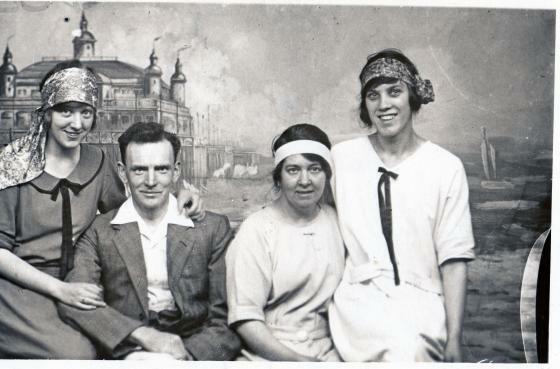 In 1901 John was a Hosiery Trimmer and Ruth a Hosiery Stitcher and their son John Reginald Dormer was 5 years old, having been born in Rothley in1896. 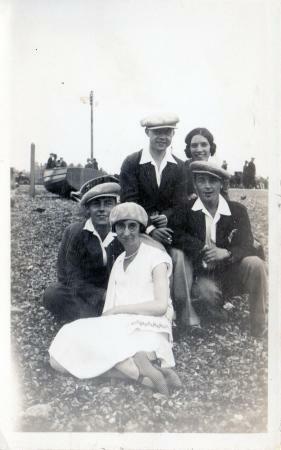 Ruth Evelyn was born in Rothley in 1904. 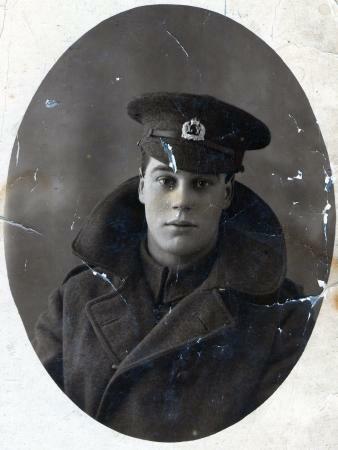 In 1911 John's occupation was General Dealer with his wife's as Assisting in the Business. 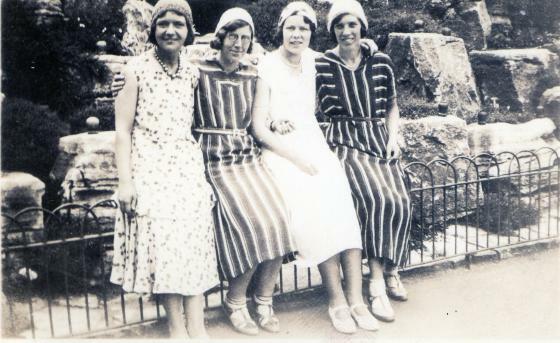 Their son, John Reginald, was a Hosiery Seamless Machine Hand and daughter, Ruth Evelyn, was at school. 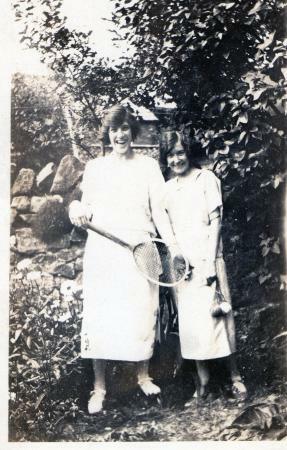 Miss Dormer never married and the following photographs show her as a young girl enjoying an active life particularly at the Rothley Ivanhoe Tennis Club. 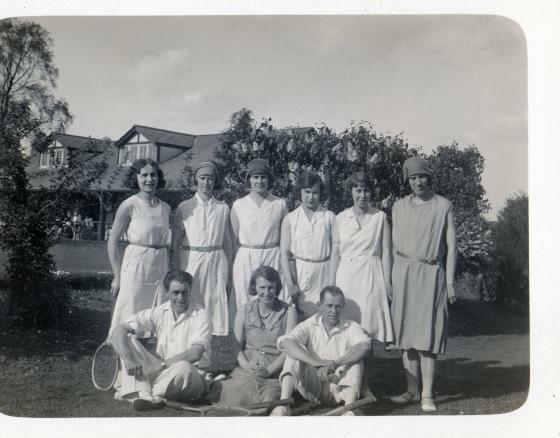 This tennis club is still very active so these photographs are part of its history. 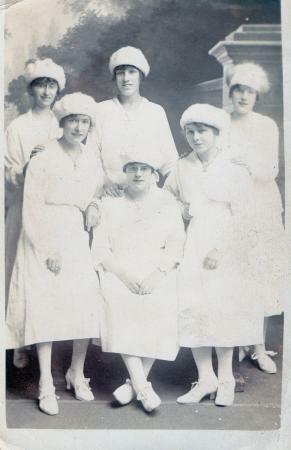 Rothley Ivanhoe Tennis Club. 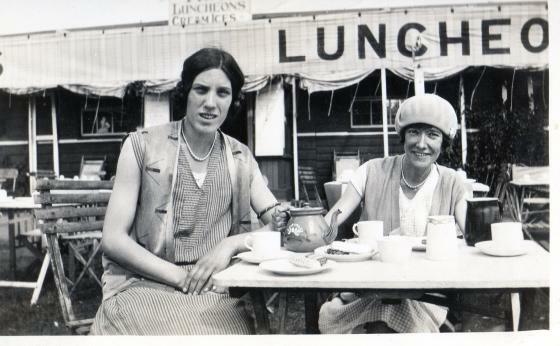 Miss Dormer on the right. 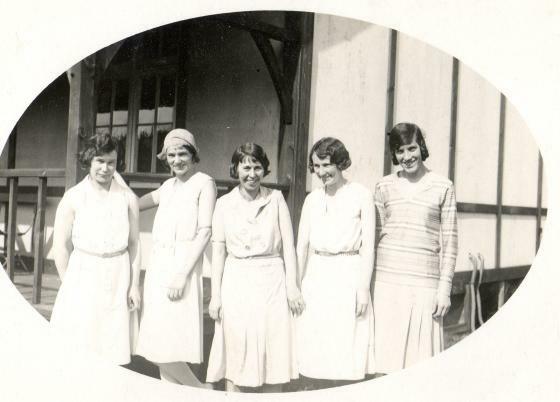 Standing in front of the tennis pavillion. 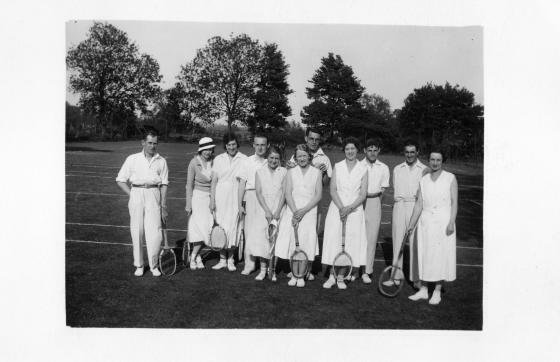 The Rothley Ivanhoe Tennis Club at the courts. 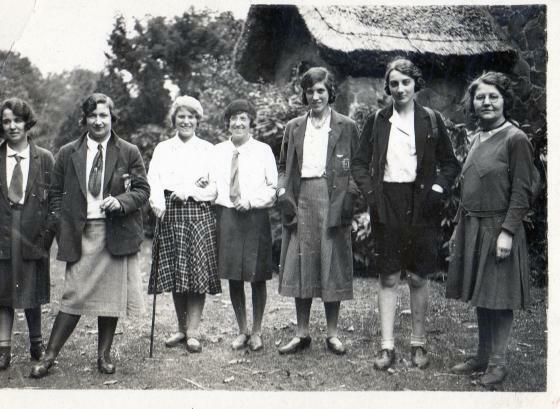 Miss Dormer third from the left. 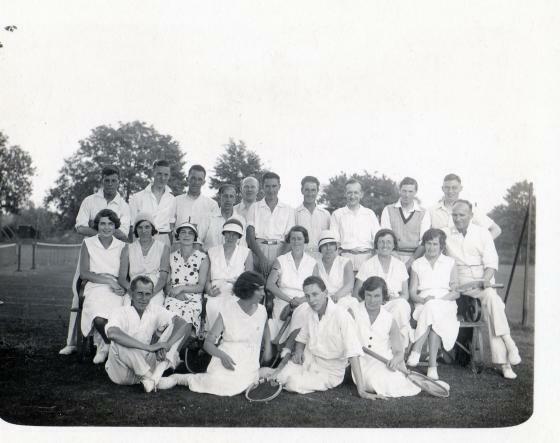 The Rothley Ivanhoe Tennis Club. 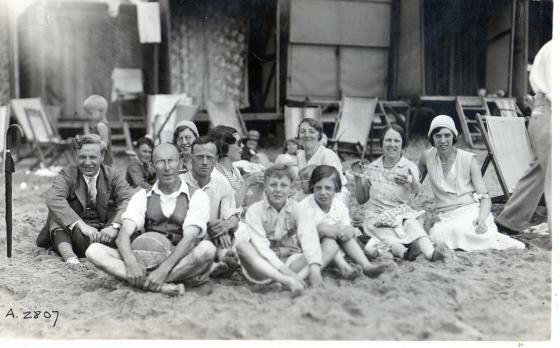 Miss Dormer centre row 2nd from the left. As above with a slightly different front row. 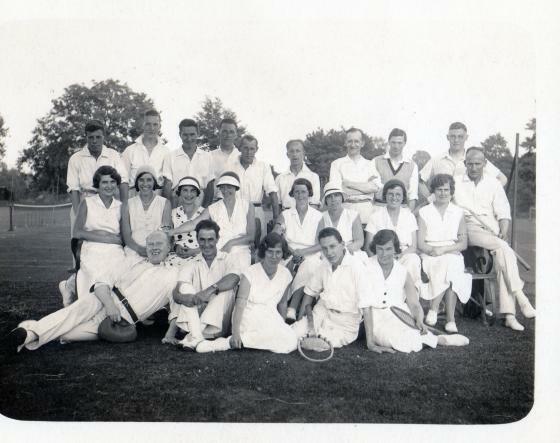 Rothley Ivanhoe Tennis Club with the pavilion at the back. 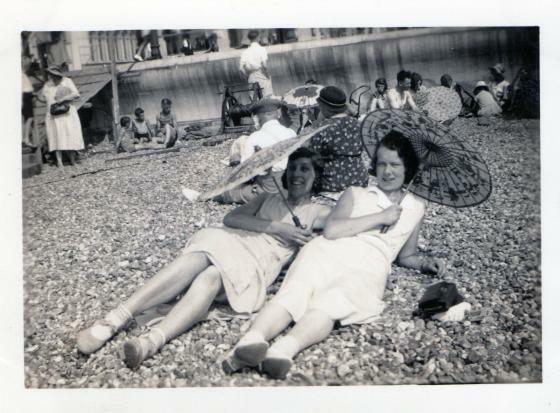 Miss Dormer on the right. 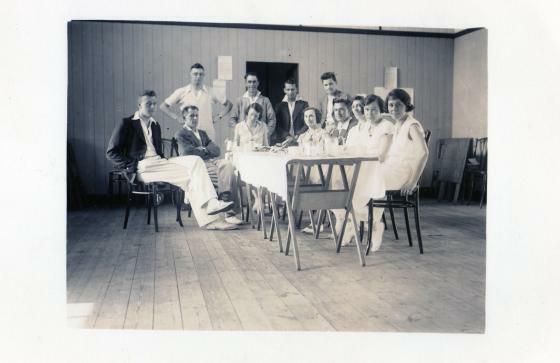 Inside the Rothley Ivanhoe Tennis Club. 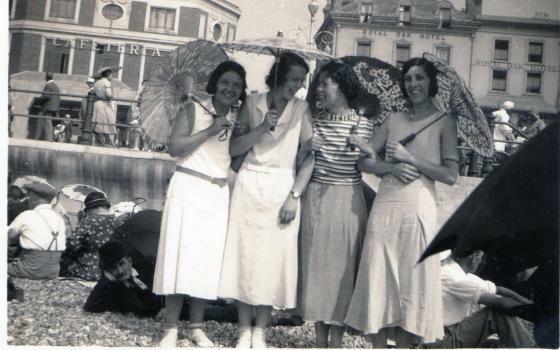 Miss Dormer third from the right. 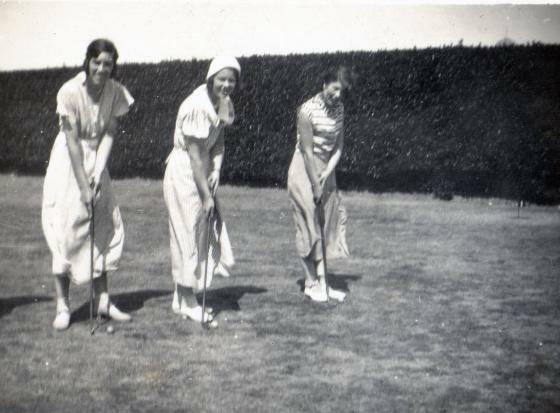 Miss Dormer second from the left on the putting green. 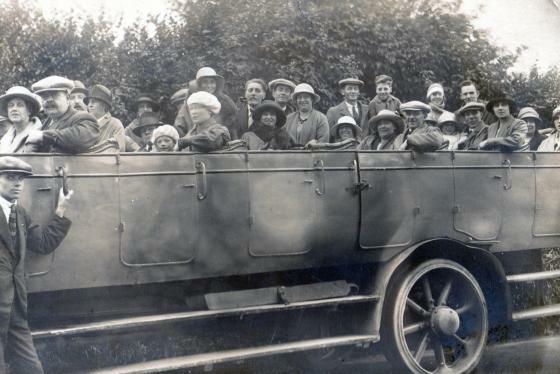 Part of the collection retained for the charabanc. 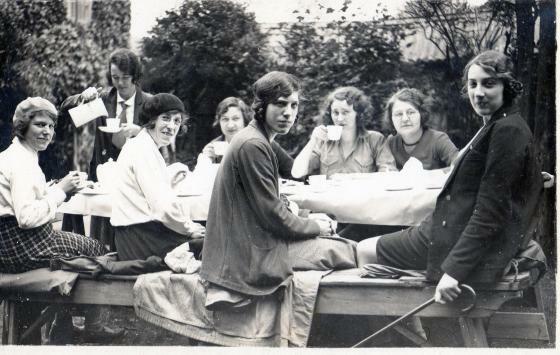 Where were they going and was it in Rothley? The same group as above with Miss Dormer in the centre showing her long plaits. 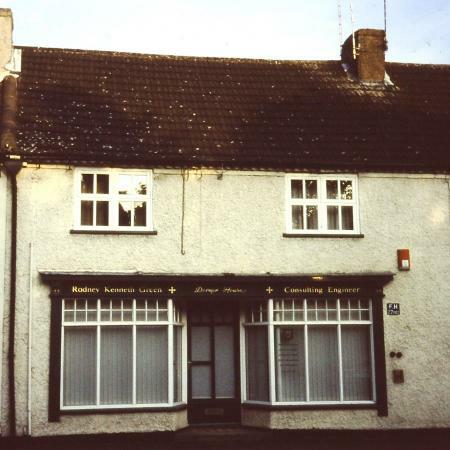 I remember the shop in Rothley for the slippers in the windows perched on wooden stands and jars of sweets on the top shelf. 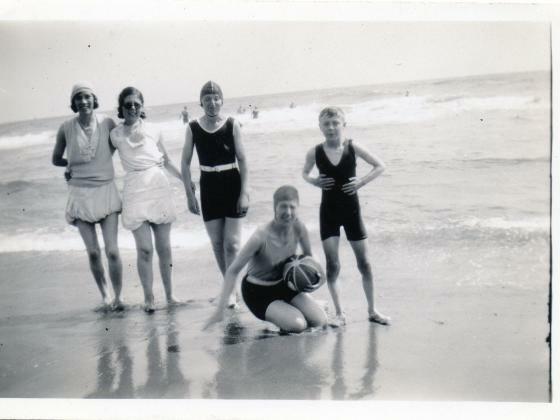 When it was sold the house was called 'Dormer House' in memory of Miss Dormer.